We completely understand your desire to hunker down in your home with a fluffy sweatshirt and hot mug of your wintry drink of choice, but if you’re brave enough to weather the Wisconsin winter (and, let’s face it, you’ve got to leave eventually), you might as well enjoy yourself while you’re out. Eau Claire Parks and Rec has already hosted a few outdoorsy activities this winter, but there’s still time to celebrate the snow. 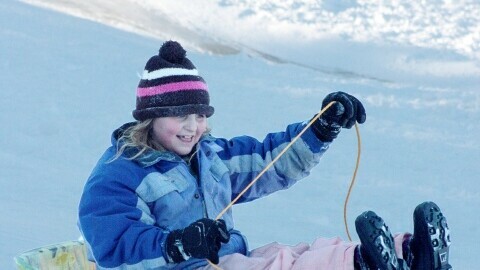 Find your inner kid and head out for an afternoon of supervised sledding at Pinehurst on Sunday, Jan. 16 and Sunday, Feb. 13 (hot cocoa, a toasty fire, and music are all included in the fun). And if you’ll be out at the skating rinks on Sundays throughout the winter, stop in the warming house for free hot chocolate and family cheer with board games, coloring books and simple craft projects. Who said winter had to be a chilly affair?